Island hopping is definitely one of the fun activities that you can enjoy in the Philippines. I guess it’s not a surprise at all because the Philippines is made up of around 7,107 islands! Or so I thought at first. According to another study, there’ve been some discovery that the country is now made up of 7,641 islands! Talk about plenty of island hopping opportunities, don’t you think? I’ve been to a lot of island hopping adventures in the Philippines. I’ve been to island hopping trips in Puerto Princesa, Coron, Mactan, Boracay and Moalboal to name a few. I’m pretty sure you’ll notice how I love it. LOL. IT IS FUN! But, it can be a bit difficult if you don’t know what to bring. With all that island hopping activity, I couldn’t remember a time that I’ve missed bringing along my ‘island hopping packing kit’ as what I like to call them. 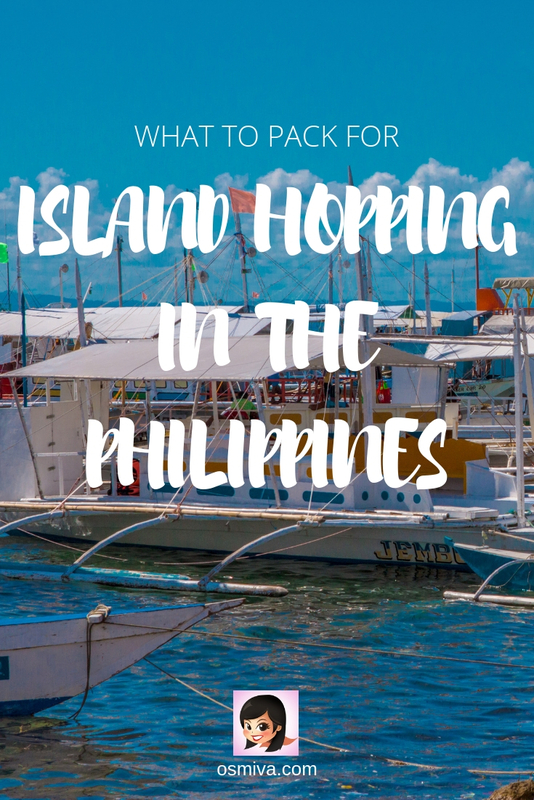 So to help you out I have listed some of my packing essentials on what to bring for an island hopping trip in the Philippines! So first things first.. Your swim wear. There are several swim wear you can choose from for sure. Remember that you will be moving from one island to the next so it’s more likely that you’d get chilled. Personally, I’d recommend rash guards as I find it more comfortable and can protect you from rashes and the cold. Not to mention: jellyfish! AND I’m the rash guard type of girl so there is that. LOL. I love my Speedo Long Sleeve Rash Guard because of its flexible fabric. I even got to wear it when I was pregnant yet there’s no sign of any tear on the cloth. So obviously, you will not be wearing shoes when you go on island hopping (except for the aqua shoes I guess). But if you are the ‘shoe-type’ of person, go ahead and bring them but don’t forget to bring slippers too. Make sure that the slippers are not slippery though as the boat will get wet once everyone is jumping in and out of the water. I always bring with me my I love my Crocs Swiftwater Flip-Flop as it’s not slippery, can easily be cleaned and lightweight! Protect your feet from scratch and other unwanted injury with aqua shoes! You will be walking around the boat, maybe stopping at some pretty beaches where the sand is painful or it’s too hot. There may be sea urchins too and if you step on one, that’ll be painful. One of our companions in our Coron Ultimate Tour accidentally stepped on one and he did not enjoy the rest of the activity. Of course, you might stop at rental shops along the way so you could get one. But, you’ll never know if they have the right size for you. We bought this pretty handy aqua shoes from O ‘Neill and we’ve loved it ever since. Despite the thinner soles of my O’Neill pair, I’ve never had problems/ scratches when on the beach. My sister also had this TUSA Dive Slipper and the sole is a lot thicker than my pair. This is pretty cool too as I’ve heard no complaints from her and the shoes has been in use for years now, just like mine. When buying one, make sure it’s tight to ensure that sand will not get inside (its quite annoying to be taking it off, brushing the sand away and putting it back on. LOL). 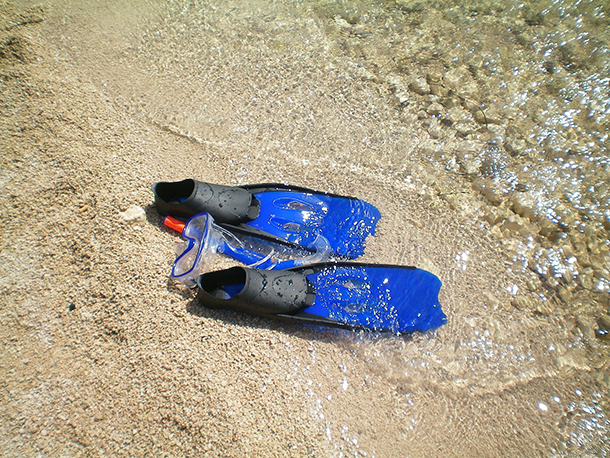 Island hopping in the Philippines is usually done with snorkelling as its major activity. I believe there are island hopping trips for diving. But for this particular post, I will be focusing on snorkelling activities. 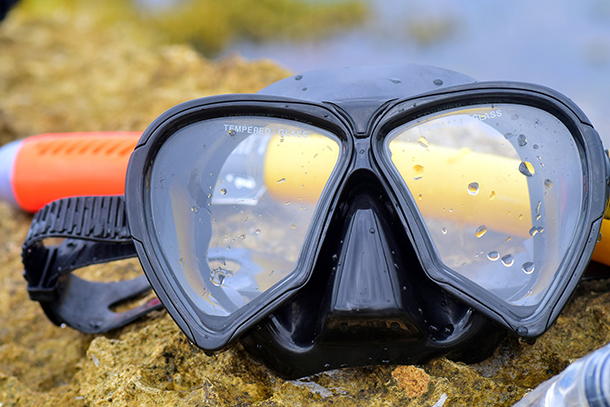 Usually, if you’re with a travel agency, there’ll be stopovers for mask and snorkel rental. This is alright, but personally, I’d love to bring my own. Why, you’d ask? Well, aside from hygiene, I find bringing along my personal gear is more convenient on my part as it fits me more and it’s more comfortable. We love our Tusa Snorkelling Mask. They’re pretty comfortable and fits us perfectly. There is no fear of water leaks as they’re pretty secure around the face. You might want to buy the anti-fog tempered glass for a more enjoyable snorkelling experience, too! How I hate having to clean my lens from time to time! Pro Tip: Bring along some toothpaste or shampoo and apply it on the inner side of the lens of your mask. It’s perfect for lessening the fog! Most island hopping agencies in the Philippines provides life-vests. It’s a requirement by the Philippine Coast Guard. Based on our experience however, I’d recommend bringing your own life vest. One that is more comfortable for you. Most of the life vests that were provided to us were either damaged or does not fit properly. Our Habagat Carrera Buoyancy Aid life vest has been with us for a few years now and we do love it and often bring it along whenever we go on beach trips. It’s pretty much of high quality and is very comfortable. The clasps on the life vest is pretty sturdy with straps that can be tied around your legs and hips (perfect in ensuring that it stays on place and you’ll not be choked when in the water). I love the front pockets too. My sister often use it as a holder for her underwater camera. If you’re a pretty strong swimmer, I’d suggest you bring your own snorkel fins too.. The boatman will not provide any, so be sure to bring one along so that you’ll enjoy the activity even more. My husband loves using one as it is pretty helpful when moving in the sea! We have not yet purchased our own, but we often make it a point to rent one prior to the start of the trip. I know a lot of us loves taking pictures. Though taking underwater pictures can be a challenge. For one, posing in the water is hard and second, finding the perfect camera is also a bit difficult. My sister has her Sony Digital Camera that we use for multiple underwater shots. We like it not only because it’s light weight and not bulky, but also because it does take pretty cool photos! On our part, we use the Go Pro as our underwater camera. We do love taking photos and videos (as seen on several of our blog posts). It’s pretty handy and perfect for activities like island hopping. When you’re island hopping, it’s very natural to get wet. And that includes your gadgets. To save yourself from worries, it’s pretty cool if you have some waterproof cellphone case with you to ensure that your phones are safe! Aside from the waterproof cellphone case, it’s advisable to also bring your own dry bag/ sack. This will ensure that the rest of your things will still be organized and dry all throughout the activity. Before, I really didn’t care if I brought any bag when we’re island hopping. But I’ve realised that the probability of my things from getting wet is high, thus the need to substitute my usual bag with a dry bag/ sack. The heat of the sun can be very bad for your skin, especially in excess. To avoid sunburns, don’t forget to bring sunscreen with you. 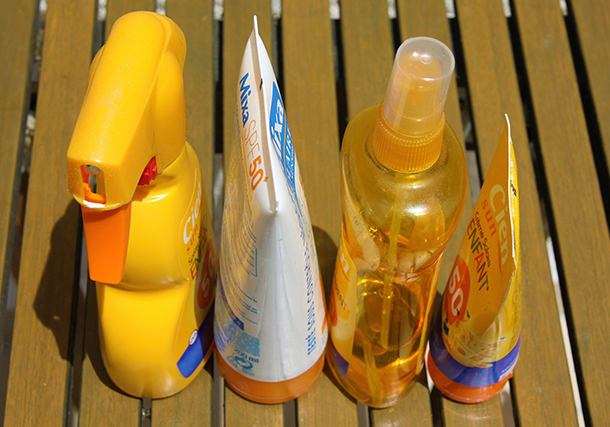 I’ve used several brands of sunscreens before, but I’m so glad I’ve found this Banana Boat Sun Lotion as it is more compatible with my skin type and does protect me from getting too much sunburned! I know a lot of your might wonder why a hair band and a comb is included in this list.. Well, for those who have long hair like me, getting them all tangled up after swimming can be unpleasant. Hence the reason for the inclusion. I’ve always loved letting my hair down when swimming, but after numerous instances of ‘’hair problems’ we long-haired persons have, I’ve realised that pulling them up is more convenient. 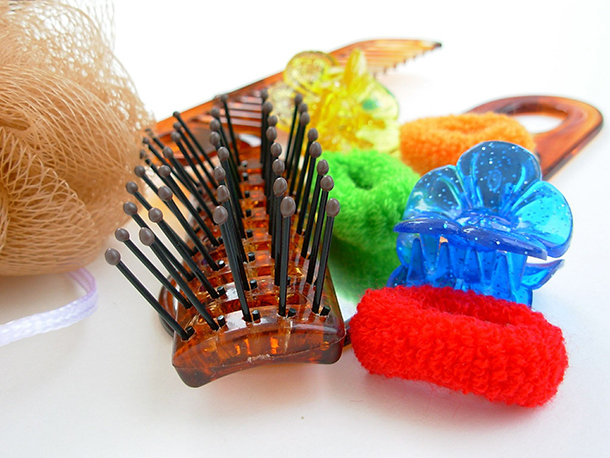 Tangling with the snorkelling gear is very much avoided and having your hair really messy after wards is eliminated. You can also bring some hair conditioner with you as it makes your hair less tangled. Of course, this is still optional. 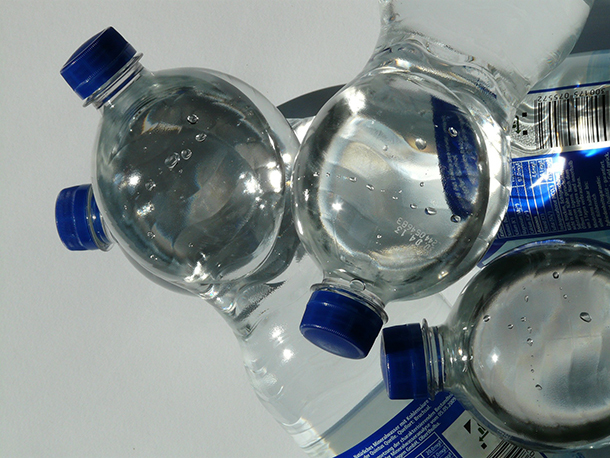 If your island hopping activity provider has no bottled water included in your activity, then bringing your own water is really a must. You wouldn’t want to be thirsty during the entire trip, do you? Be sure to inquire first! Don’t forget to bring a towel with you to dry off! It can get chilly after a day at sea, so it’s pretty nice to have something dry to wrap around your body when you’re heading home. 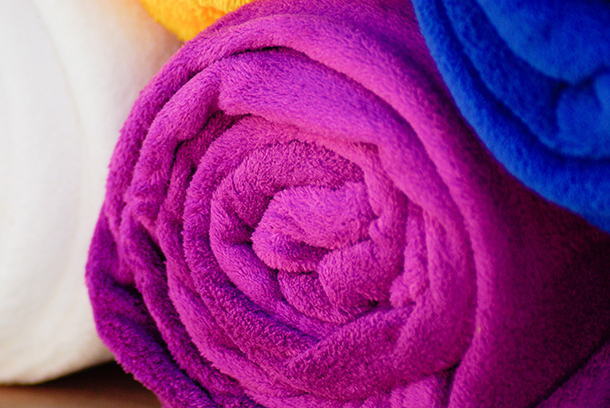 We love our DryLite towel for this activity as it’s lightweight and easily dried! After the island hopping trip, having some spare clothes with you is also great. Not unless you’ll be dropped off directly to the hotel after the activity. Boats usually have their own comfort rooms at the back where you can easily change into dry clothes! And that’s just about it. I hope I have not forgotten any important items for you… If I did, feel free to comment on the section below so that we can help each other out! Overall, island hopping activities in the Philippines is really fun and should not be missed. From long stretch of white sand bar to gorgeous corals and abundant marine life, I’m sure you’ll enjoy it! 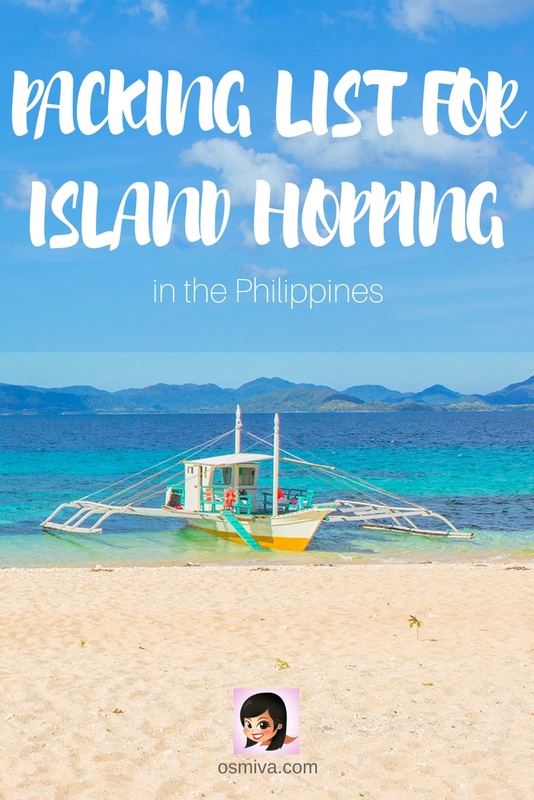 I loved island hopping in the Philippines! There are so many beautiful places. Thanks for sharing your tips, I am sure they will come in handy for anyone wanting to visit these gorgeous islands! Thank you, Georgia! 🙂 I hope they’ll come handy! LOL.. I’m sure you loved your visit! Hoping to go to the Philippines this summer so this will definitely come in handy. However, I have vowed to finally look into a lifestraw or something that will filter water that I don’t need to buy stupid waterbottles anymore! Water filters sounds like an amazing idea to have! Thank you for sharing Annika! I’d also add trekking sandals. 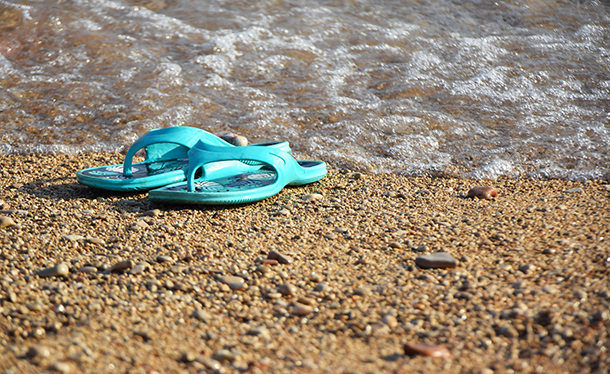 We always have a pair and it doubles for use as slippers, trekking shoes and aqua-shoes (only when we’re snorkeling on rocky areas). 🙂 The Philippines has a few local brands that manufacture these, and for cheap too. Happy to have help! I’m sure you’ll love the Philippines! What a comprehensive list, I would pop some trekking sandals in too! Love island hopping and this is great list .. thanks for sharing . Loved reading your post. I have heard so many people saying that they loved visiting the Philippines. I’ve never been to the Philippines but I really want to go to this beautiful country while it’s still authentic and paradisiac ! Thank you for sharing your travel experience ! Your post includes really useful and informative tips. I didn’t know there are more than seven thousand islands in the Philippines! Good advice that I will definitely heed, especially the waterproof cellphone case. 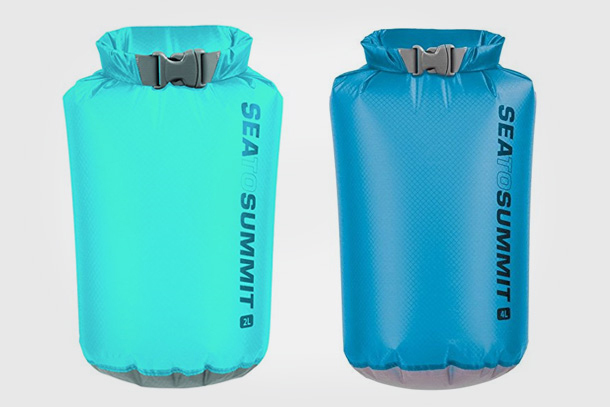 I hadn’t seen one of the dry bags before and will have to get one. 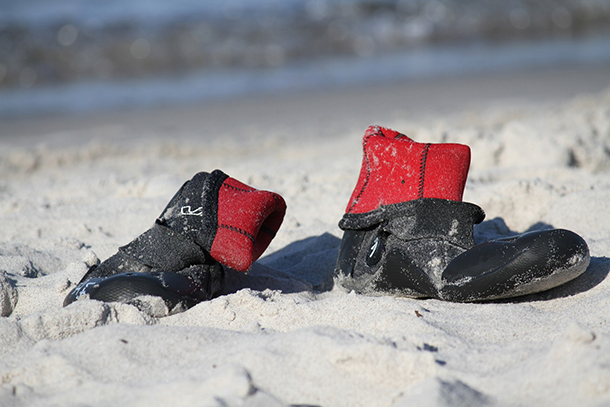 They seem handy for any beach or island hopping adventure. Great list. I had not heard of the rash guard before, I am going to have to look into that! This is really helpful, especially with the aqua shoes! Lots of people might forget them, but they are sooo helpful! This would be useful for island hopping anywhere! Not just the Philippines. 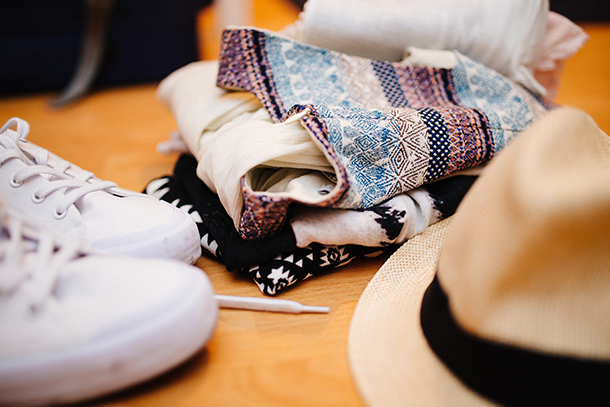 Excellent ideas for items to pack on an island hoping trip. Very similar with what I usually pack for Hawaii. So far I didn’t pack the dry bags, because we could always rent them from the kayak rental places. I think I should buy my own though. 7000 islands! Oh god! I knew the Philippines had many islands, but this number is way beyond my expectation. Great fact to know. And good list of items to take on a trip here. This is a great list that will come in so handy. As much as I love travel, I hate packing! I’m going to check out your sister’s water shoes for a future trip. Your post is a good reminder to remember to take certain things when you island hop. I think I would be sad if I forgot to bring snorkel gear while visiting all these islands. The islands of the Philippines are really exotic and one more gorgeous than the other. Of course when lost in the fascinating world of these islands, one needs to be aware of practical necessities too. Hence this is indeed a very practical and sensible packing list. 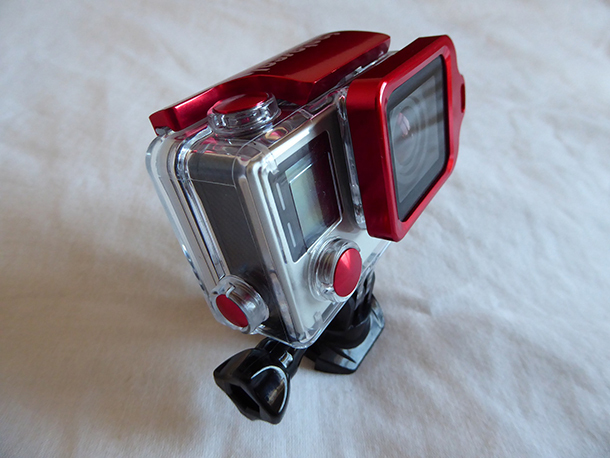 Especially packing things like Sunscreen Lotion, underwater camera, etc., is absolutely necessary. Oh good timing! 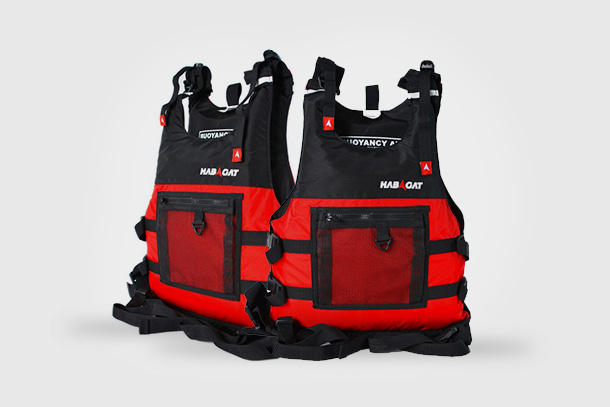 We’re island hopping in Palawan in May and I thought of buying my own lifevest! Yay! Most of us Filipinos including me don’t know how to swim even though we’re born in an archipelago! And you’re right, agree with you that most island hopping tours life vest are damage or does not fit properly or worse, sometimes dirty! And who would forget the bikini? Most important essential on island hopping packing list! Islands are lovely. But I never knew the no of islands in Philippines is 7107. Means you need 20 years to see all of these. Super!! And your packing list is great. I am going to follow this for my all beach trips. A fabulous list of essentials – I’m the same as you, I prefer to travel with my own snorkel gear when I’m doing trips – I don’t know, I just don’t feel comfortable with the hygene of wearing and having my mouth around something hundreds of other people have lol! And excellent tip on the aqua shoes – I’ve stepped on a sea urchin before too and it’s PAINFUL!!! This is a fabulous list, thanks for putting it together! Superb list. You’ve covered pretty much everything one needs (and more) for island hopping in the Philippines 🇵🇭. Aqua shoes is a great idea. I remember snorkeling in Australia, and had a few cuts to my feet because I unintentionally stepped on sharp corals 😢 . Lesson learned 😉. Aqua shoes, dry sack, and waterproof camera are absolute musts! Great list here. In NZ it poured rain for the 3 weeks we were there. If we didn’t have all of our belongings in the dry sack we would have been so screwed! I have always had my own snorkeling gear. It is so nice to have fins and a mask that fit. I hate having to use a mask that doesn’t fit and is always leaking water into the mask. Can I recommend that you change your sunscreen suggestions to one that is specifically designed to be coral reef friendly? It has been shown that chemicals in sunscreen have been damaging coral reefs around the world. Oh, wow.. I didn’t know that.. I’ll be looking for environment-friendly sunscreens now! 🙂 Thank you for that information, Jennifer..
It’s the first time I’ve heard of aqua shoes. This packing list is organized and tells exactly what is needed. Thank you, Mike! I always forget my sunglasses.. hahah.. I would like to add hat and sunglasses. My eyes got irritated easily by strong wind. And hat, not only for covering my face from the sun, but also the top of my head. Great list though. Thank you for sharing. This could be titled things I’ve forgotten on every beach trip haha. Almost as soon as I hit the road I run through the list of everything I’ve forgotten. Waterproof case, goggles etc. The dry bag, water and spare clothes are essential and I think most forgotten in my opinion. You covered all the possible items one could need for island hopping! Nothing seems to be missing. 7641 islands in the Philippines. I’ll be satisfied to visit 3-4. The quality of life vest is always a worry for me. Like you suggested, do you know if somewhere nearby they could be bought? Won’t make sense to carry them all the way from our country. Particularly, since I travel with my small kid, I would like to have a good life vest for her which can be a good fit for her. Local malls here usually sell some great life vests.. 🙂 I know what you mean..It’d be inconvenient to be bringing it with you..
I’m sure you’ll it, Nathan! Thank you so much! This is a very good list and very practical. Although, it might be a bit difficult to pack your own snorkel and flippers! I like that it does give you the cleanliness factor. 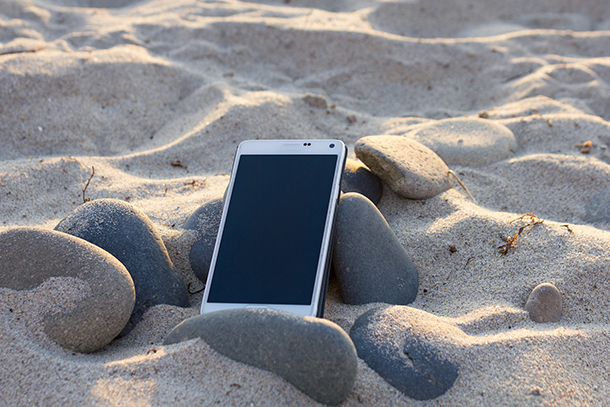 A waterproof camera is a MUST for us as well as a phone protector! Great stuff here! It can be a bit tricky, tbh.. 🙂 Thank you, Taiss! All the items you listed above are very necessary for a great time on an island vacation. It is not only helpful during island hopping in Philippines but any island holiday. 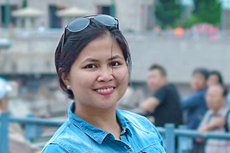 Thank for the comprehensive, your posts on Philippines are definitely very tempting.